About "Graphing exponential functions worksheet"
Here we are going to see some practice questions on exponential functions. 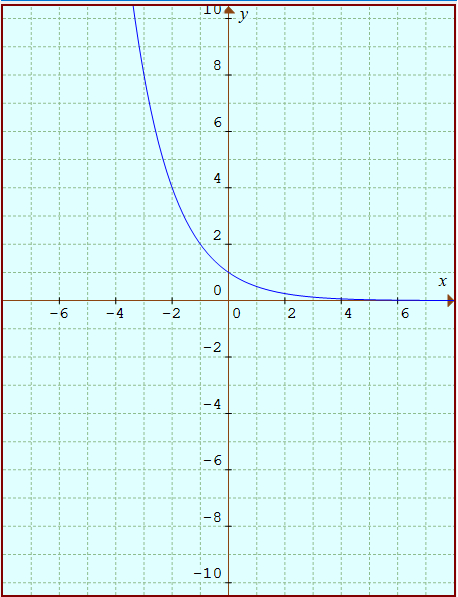 An exponential function is a function that can be described by an equation of the form y = ax, where a > 0 and a ≠ 1. 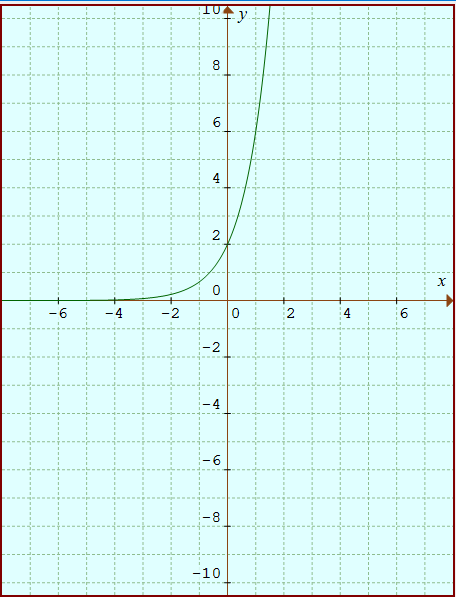 How to graph exponential functions ? (i) Give some random values of x, from this we can get the values of y. (ii) Write them as ordered pairs. (iii) Graph the ordered pairs and connect the points with a smooth curve. The y-intercept is 1. Let us look into some example problems. 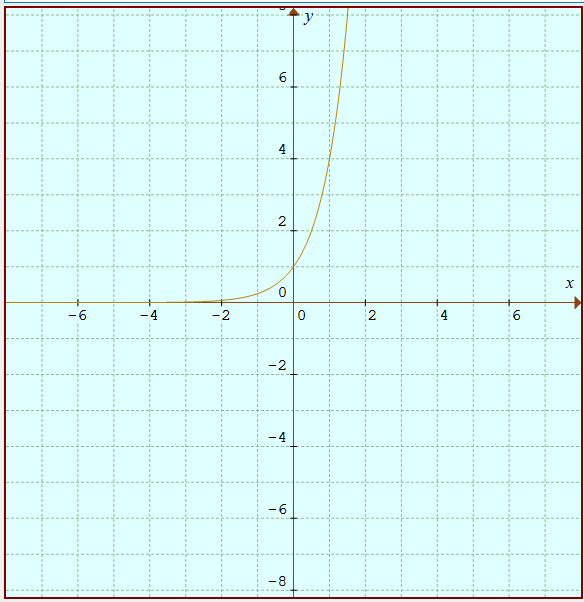 (1) Graph y = 4x. State the y-intercept. (2) Graph y = (1/2)x. State the y-intercept. (3) Graph y = 2⋅ 3x. State the y-intercept. (4) Graph y=3(2x-1).State the y-intercept. Graph y = 4x. State the y-intercept. Giving some random values of x, so we get the values of y.
Graph the ordered pairs and connect the points with a smooth curve. The y-intercept is 1. Graph y = (1/2)x. State the y-intercept. Graph y = 2⋅ 3x. State the y-intercept. Graph the ordered pairs and connect the points with a smooth curve. The y-intercept is 2. 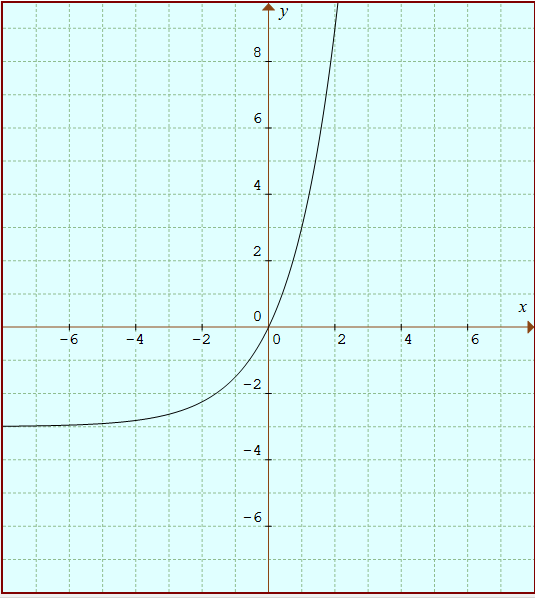 Graph y = 3(2x-1).State the y-intercept. Graph the ordered pairs and connect the points with a smooth curve. The y-intercept is 0. After having gone through the stuff given above, we hope that the students would have understood, "Graphing exponential functions worksheet".